Failed the Road Skills Test Three Times? We can help! If you’re over the age of 18 and you fail the road skills test at the DMV three (3) times, you’re required to complete the seven (7) periods of in-car driving portion of Behind the Wheel. The price of this course is $475.00. Understanding you’re busy, we work around your schedule with as much flexibility as possible to help you complete your needed re-examination sessions. Our instructors will help guide you through the process of safely operating a motor vehicle on today’s roads, giving you real-life examples, tips and feedback during your sessions. At the conclusion of the seven (7) periods, you’ll be issued the necessary documentation to take to the DMV to retake the road skills test. Many students feel more comfortable taking their test in the same car they’ve been practicing in. A representative from the Virginia DMV will perform the road skills test with you in this same car if you’d like. Speak with your instructor about the process for using one of our vehicles to complete your road skills test at the DMV. Our trained and professional instructors have decades of experience helping teens and adults learn how to drive, regardless of their skill or confidence levels. We understand passing a road test at the DMV can be an intimidating task for most, especially if you’ve already had multiple failures. We will guide you through how to remain calm and relaxed when behind the wheel, helping you focus on the safe operation of the vehicle. In addition, we’ll review with you the key points from behind the wheel, such as reinforcing your familiarity with road signs, handling changes in traffic conditions, school zones and more. For us, it’s not just about helping you pass a test. We strive to instill in each student the knowledge and skills to be a safer, smarter driver. You can expect constant feedback, tips, real-life examples to help you achieve more. Taking work, family and school into account, your instructor will schedule your seven periods with as much flexibility as possible to help you get the course completed. Lessons are offered throughout the morning, afternoon and evening, seven days a week. Have unique requirements that may interfere with normal scheduling? Not an issue. Please bring this to our attention as soon as possible so we can make accomodations. The road skills test is offered at all DMV customer service centers, with the exception of the Fair Oaks Mall and Arlington Virginia Square locations. Appointments may be scheduled with the DMV to take the road skills test. 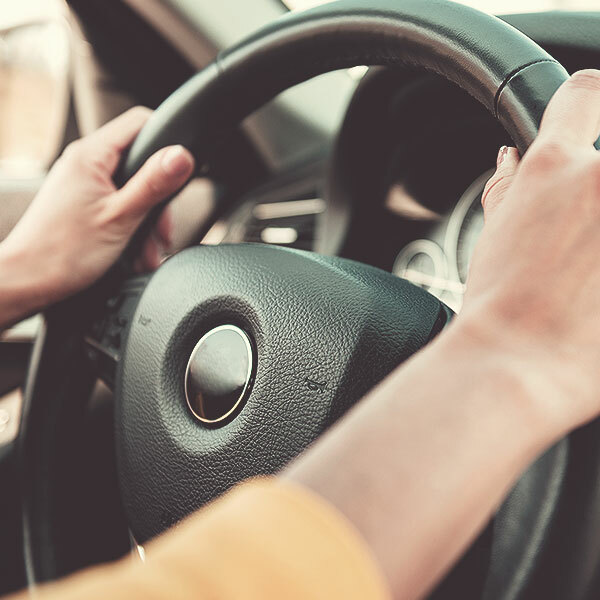 A DMV representative will administer the test, and you must provide evidence for completion of a state-approved driver’s education class or a Car Maneuvers Observation Record at the time of testing. For drivers under the age of 18, the road skills test will be given as part of the behind the wheel portion of driver’s ed. After your third test failure, you’re required to complete the behind the wheel portion of driver’s education (this course). This course cannot be taken until after your third test failure. Failed the DMV Knowledge Exam three times? If you failed the learner’s permit test or the Knowledge Exam at the DMV three times, you must complete an eight (8) hour driver’s manual / re-examination course before testing again.